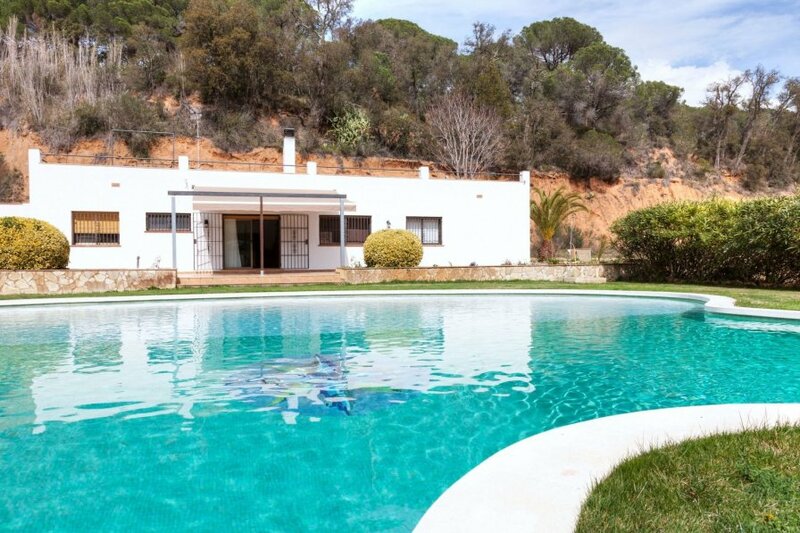 This 5-bedroom villa for up to 9 guests is located in Sant Feliu De Guixols and has a private swimming pool and. Parage Bujonis 3 km from St Feliu de Guixols: Child friendly house Casa Paraiso, surrounded by fields. In a quiet, sunny position, 4 km from the sea. Private: garden with lawn 500 m2, swimming pool (depth 50 - 190 cm, 01.01.-31.12.) with internal staircase. Unconventional pool shape. Tennis, floodlit, basketball, terrace (125 m2), garden furniture, barbecue. In the house: central heating system. Motor access to the house (650 m via unmade road). Supermarket 2 km, restaurant 2 km, bar 2 km, sandy beach St Feliu de Guixols 4 km. Sports harbour 4 km, golf course 5 km, riding stable 4 km. Nearby attractions: Waterpark 7 km. Please note: car recommended. Suitable for families.